Klaris from RingCentral submitted this entry. The author’s views are entirely his or her own and may not reflect the views of Tech Help Canada. There are a lot of platforms available for small businesses looking into marketing their products and services online. There’s search engine optimization (SEO), pay-per-click (PPC) marketing, social media marketing, email marketing and more. 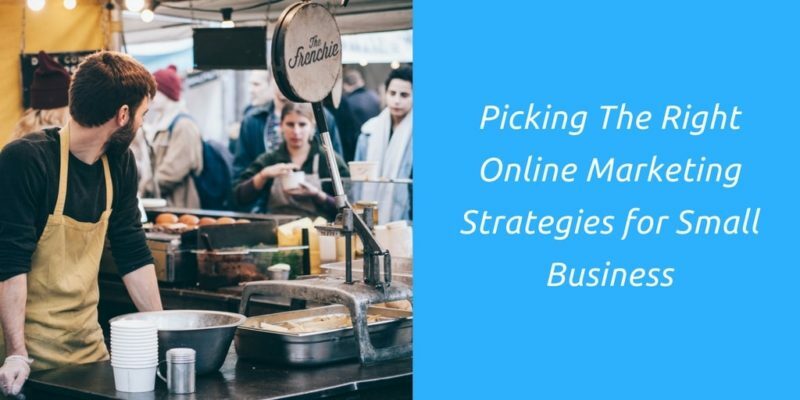 So how do you choose the right online marketing strategies for small business? There are plenty of options to choose from and some companies even implement multiple strategies at a time. Perhaps, you’ve decided to take the digital marketing route and you’ve already begun building your website from scratch. You want to be number one in the search results, so you hire an SEO expert to do it for you. It’s taking a while to rank, so you look into adding a PPC strategy. And then you start exploring other strategies. But the more strategies you want to cover, the more money you’re spending. So where should your marketing budget go, really? To answer this question, you have to consider a lot of things – which also happens to involve answering more questions. What are your company’s goals? How long are you willing to wait to see results? How much budget are we talking about or what other resources are at your disposal? This is the process of making your website rank on the top of search engine results pages (SERPs) for specific relevant keywords. In theory, it could be simple but when put into practice, this strategy can be a bit complicated. It takes a lot of time and effort in order to be successful. You have to do several things like keyword research, on-page optimization, building links among others. Be prepared to wait 4 – 18 months before you can start seeing some money-making results. However, this is by far one of the most effective strategies used in marketing today. Why? Because the ROI is huge and that’s why it’s well worth the wait. The process of bidding on keywords to rank in SERPs. You’ll need a good budget (especially for competitive keywords) but the results are often immediate. Also, to be effective, you have to optimize your ads and bids. It requires some strategizing and a little technical know-how too. The process of increasing conversions from your website. You can implement a CRO strategy for various goals like generating more leads or more sales per visitor. In plenty of cases, this strategy cannot work alone because you need traffic. Best practice is to combine this with SEO or PPC. The practice of leveraging platforms like Facebook, Twitter, Instagram and other social media sites to generate brand awareness and website traffic. It’s just like PPC, where there’s cash involved upfront but this time, you are paying third-party entities to display your advertisements. This will help you generate brand awareness and website traffic, especially when targeting a specific demographic or niche. The process of collecting email addresses from free or paid leads and then sending out series of emails with content that these leads are interested in. It’s also known as permission marketing, meaning that people subscribed because they want to hear from you. An effective strategy and one that has withstood the test of time. 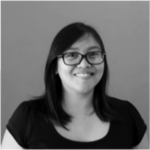 Next, you have to be clear about the goals that you want to achieve through your digital marketing initiatives. Most if not all businesses want this as the end result of any endeavor. Fortunately, online marketing strategies are designed to result in more sales. Many marketers will tell you to focus on generating traffic and embark on a combination of CRO or email marketing activities, which totally makes sense. Because you’re more likely to convert people who are already familiar with your products and services. It only makes sense that increasing web traffic should be a top priority for business. The higher your traffic, the more chances you have in capturing leads that could eventually become customers. SEO and PPC are your best bets when you want to focus on this objective. If you’re still in the process of building your brand and want to be recognized as a leader in your space, you’d most likely prioritize brand recognition above everything else. You can start with display advertising to create familiarity and trust among your target audience. In many instances, customers don’t know what to look for online. You need to provide information and educate your potential customers too. Point out the problem and offer them your solution. SEO is a good strategy for this scenario. Good keyword research and targeting could prove beneficial. After identifying your options and setting your priorities, you need to carefully study how much budget you have. How much time do you have and what other resources can you take advantage of when selecting a digital marketing strategy? In addition, you have to employ multiple tactics and a holistic approach in order for your initiative to work. Digital marketing presents so many opportunities for businesses these days. You only have to explore these options in depth and figure out what could work for you.